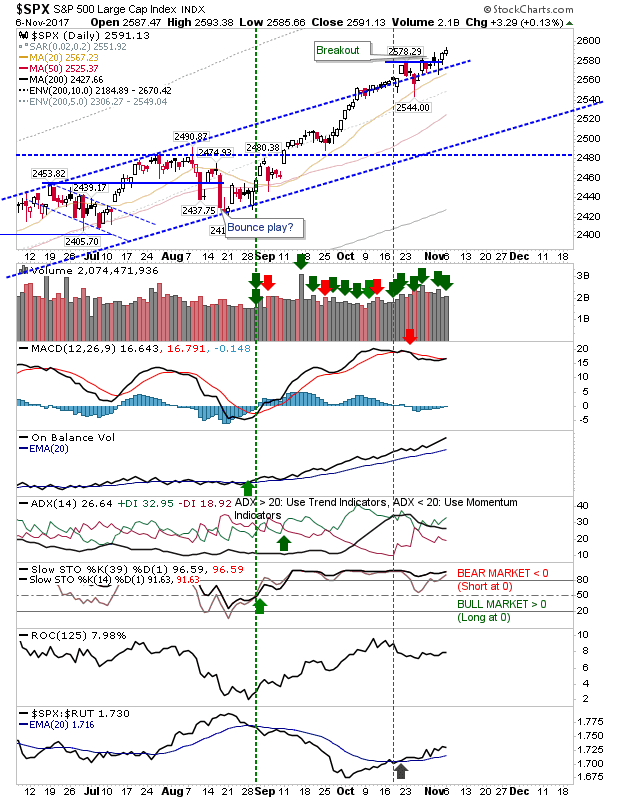 The Nasdaq made it closer to channel resistance and remains the upside target. The Russell 2000 looks ready to break out of its 'bull' flag. 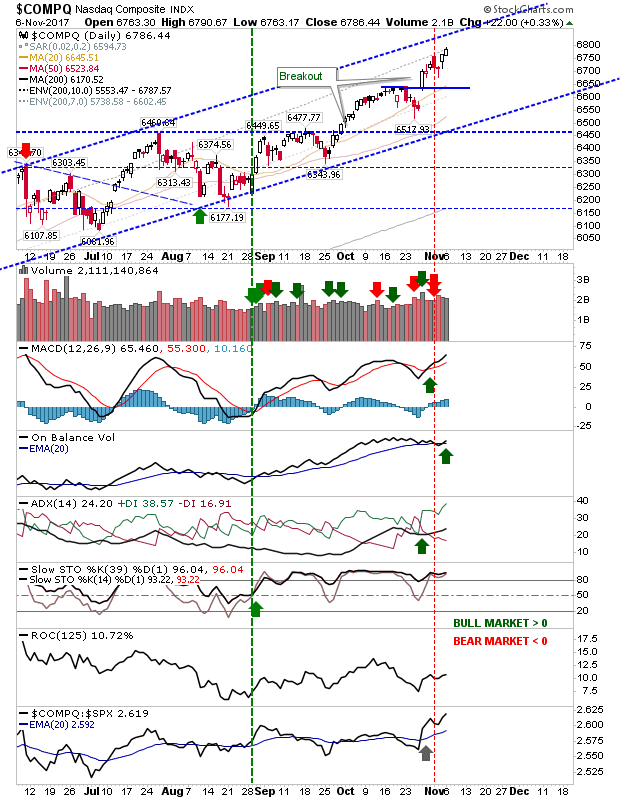 Today left the index at channel resistance; tomorrow could deliver a breakout. Watch this closely. 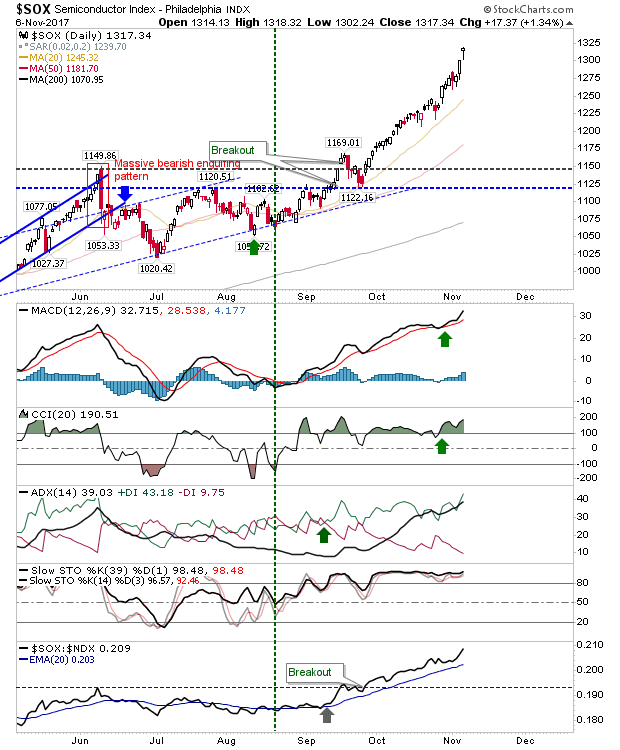 Keep an eye on pre-market trading; weakness in lead indices has the potential to set up a bearish 'shooting star' in the Semiconductor Index. 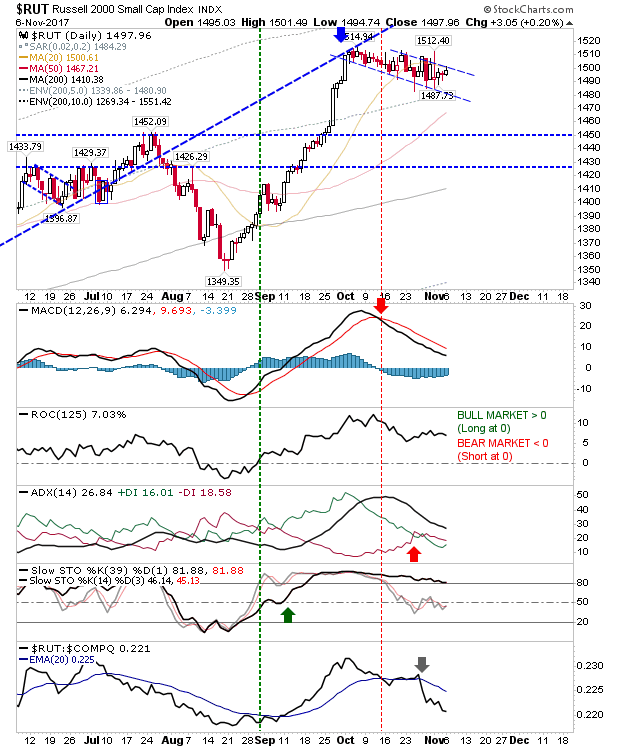 In a bullish pre-market, look for the breakout in the 'bull' flag from the Russell 2000..